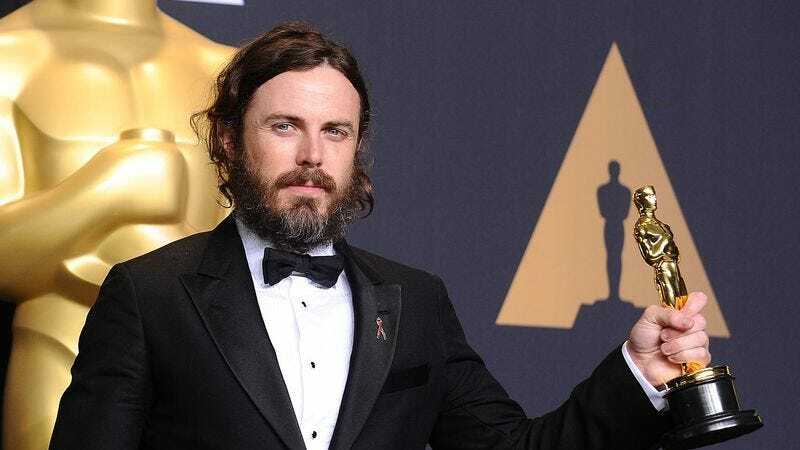 Back in 2010, Casey Affleck was accused of sexual harassment in two suits from women who worked on his film I’m Still Here. And then on Sunday, he won an Oscar for his performance in Manchester By The Sea. Though the sexism implicit in commending Affleck despite widespread knowledge of the suits did not go undiscussed throughout awards season, it also apparently did not deter Academy members from awarding him Best Actor. But on social media, many people condemned the victory. Mind you, these statements were buried in a largely glowing profile, focused on how Affleck has emerged from his brother Ben’s shadow. But last year’s best actress winner, Brie Larson, appeared to silently protest during the ceremony by not clapping for Affleck after she announced his win.